Outdoor cinemas have become more popular in recent years – and you can do the exact same thing in the comfort of your back garden this summer. Just picture it: a warm summer night, the sun is starting to set with twilight spreading across the sky. You’re sat comfortably outside with friends, family, maybe your partner, enjoying some drinks, with popcorn rustling, the magic of the silver screen in your back garden. It’d be a great summer treat. 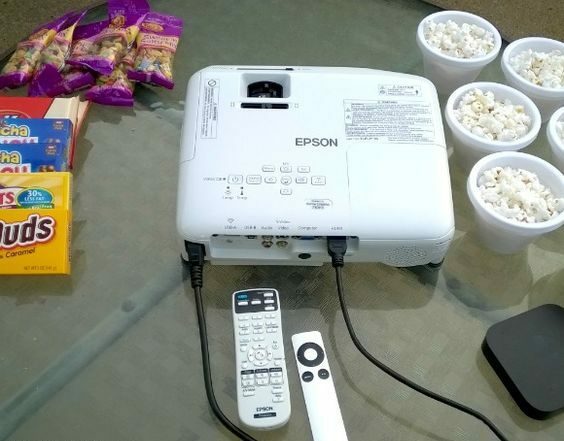 By making a movie night in the comfort of your own home you can host a BBQ after-party or watch your favourite flicks on your homemade big screen. 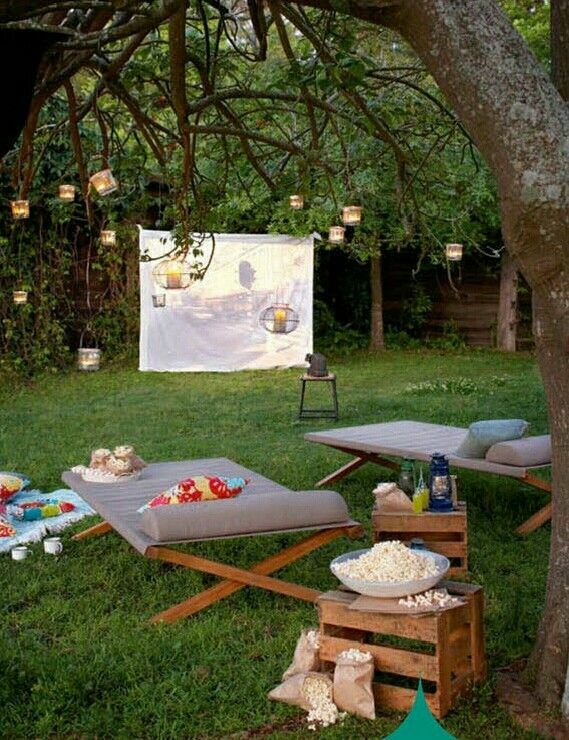 There are a few essentials that you’ll need in order to recreate the magic of cinema in your garden. So we’ve come up with a mini-guide to creating your own outdoor cinema. First and foremost, you’ll need to choose the movie! Thanks to modern streaming services, you can easily play the movie of your choice through Netflix or Amazon Prime. But having a decent projector is vital; you still want quality sound and picture without any problems while watching. If you do your research, you can definitely find a good-quality projector online without breaking the bank! You may also want to consider connecting your speakers to the laptop/tablet for good sound and placing under the screen. They can also be attached to your laptop or tablet in order to stream the film onto the screen, so you can sit back and enjoy. The easiest way to create your homemade big screen is to peg a white sheet along your washing line. But be sure to weigh it down so it doesn’t start to flutter in every gentle breeze during the movie. You can also secure a sheet along a wooden fence, so it’s kept in place with a solid background to it. If this doesn’t work, you can always get blackout lining to put up, or hire a screen if money is no object. Whether you have a tiny garden or a massive backyard, you can still make it inviting; just bring all your home comforts outside! Your blankets, bean-bags, cushions, deck chairs – even your duvet would make a lovely and comfortable element to the outdoor cinema experience. But make sure it’s in a sheltered area if it gets windy. A vital element to an outdoor cinema or any movie showcase is the food. 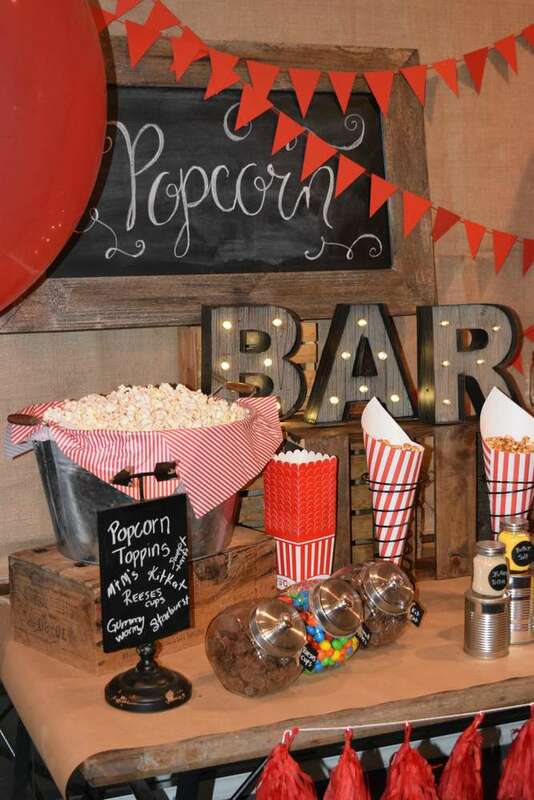 Whether you opt for traditional popcorn and some fizzy pop, or fancy a picnic with some prosecco cocktails to enjoy: whatever your preference, it’s your party and you can have what you want. If the night starts to get chilly, you can enjoy some hot chocolate and marshmallows whilst watching to warm you up! Or why not host a pizza party? Adding little touches can make the experience homely, intimate and magical. By adding fairy lights, bunting or glass lanterns around the screen or where you and your guests are seated, you can make your garden into a magical wonderland. 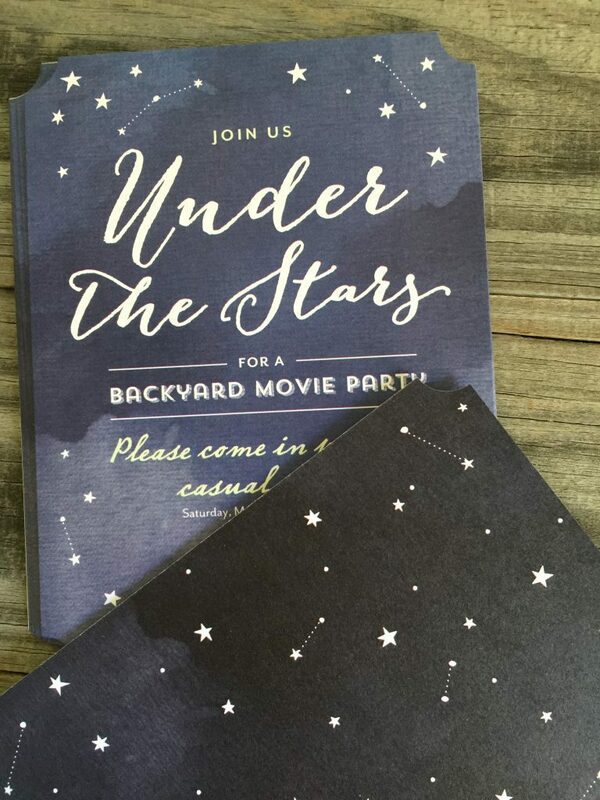 You can even have your guests give little tickets to add a touch of old-school or VIP to the home event. 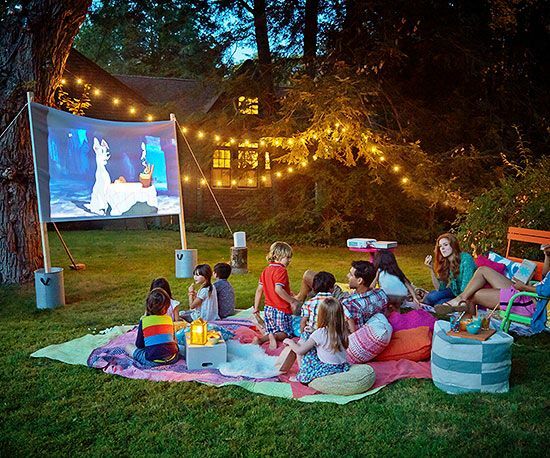 There are so many little extras to your home outdoor cinema, you can choose which ones work best for you to enjoy for that intimate and magical summer evening.